There are two options: In Arrears and In Advance. Choosing In Arrears means that you are collecting for past work that has already been completed, whereas In Advance means that you are collecting funds for work that will be done in the future. Essentially, In Arrears translates to a billing period that is "the last 30 days" and In Advance translates to a billing period that is "the next 30 days". 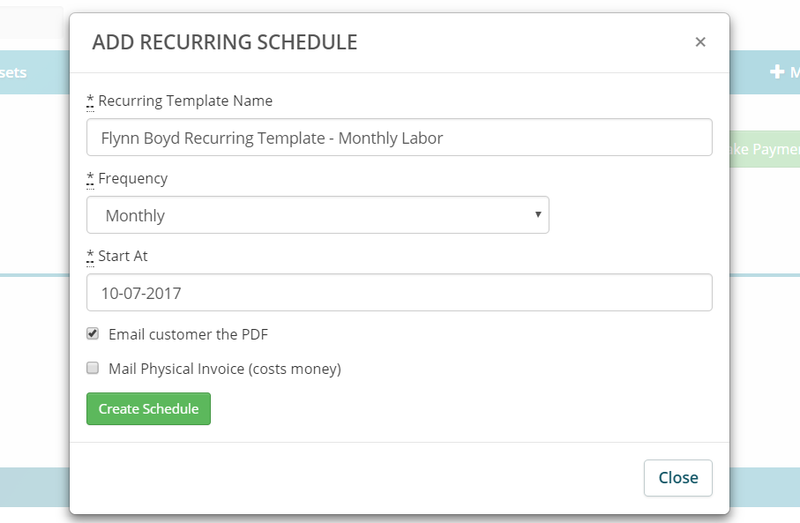 The Recurring Type is used to select which type of line item to add to your Invoice. The Standard Line Item type is used for regular Inventory Products. 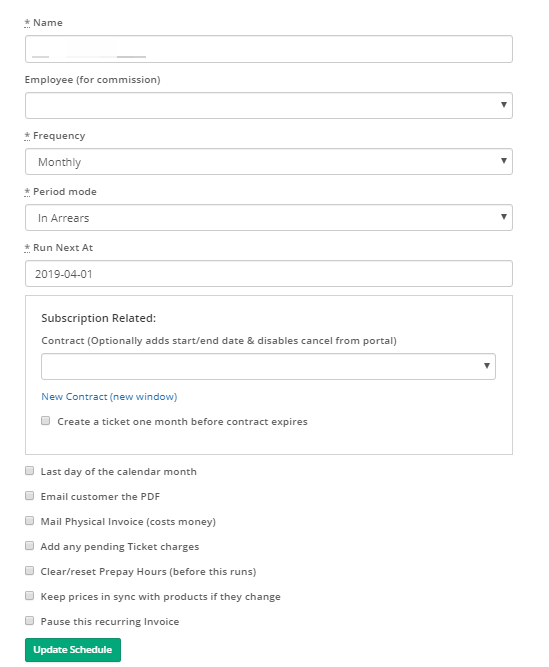 You can add these as standard line items to the recurring Invoice as normal. The Data Backup Line is used with our CloudBerry Integration to provide a recurring line item for your Customers data backup. The Asset/RMM Counter is used to add line items based on the Assets your Customer has. Once you select the line item that is to be added (such as "charge per workstation"), you can then either select a fixed quantity to add, or a dynamic quantity based on Asset type. The dynamic quantity based on Asset type will count how many Assets that Customer has that are under the selected Asset types, and it will add that number as the line item quantity. For example if a Customer has 3 Assets with the type "Router" and you selected that type in the "Dynamic Quantity" drop-down, then a quantity of 3 of that line item would be added to that recurring Invoice.